Researchers at Montana Tech University knew there was a correlation between smoking, prolactin levels and thyroid stimulating hormone levels, but no real research had been completed on the effect of secondhand smoke on these hormones. Secondhand smoke enters the body through inhalation of exhaled smoke. 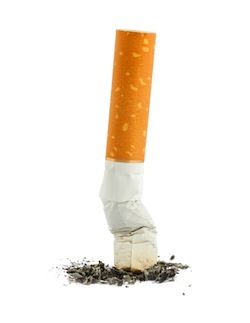 Many of the same dangers of smoking are present with secondhand smoke inhalation. Prolactin and thyroid stimulating hormone levels were tested in 314 non-smoking women undergoing in-vitro fertilization. Prolactin levels were significantly higher compared to levels in women not exposed to secondhand smoke, but thyroid stimulating hormone levels remained unchanged. Researchers have yet to figure out why both hormones are affected when women actively smoke, but only one hormone is affected when exposed to secondhand smoke. Further testing will be needed on a larger pool of women to realize the total effect and possible mechanisms behind why prolactin levels increase independently of thyroid stimulating hormone. Source: Benedict MD, Missmer SA, Ferguson KK, Vitonis AF, Cramer DW, Meeker JD. Secondhand tobacco smoke exposure is associated with prolactin but not thyroid stimulating hormone among nonsmoking women seeking in vitro fertilization. Environ Toxicol Pharmacol. 2012 Sep 23. pii: S1382-6689(12)00142-1. doi: 10.1016/j.etap.2012.09.010.